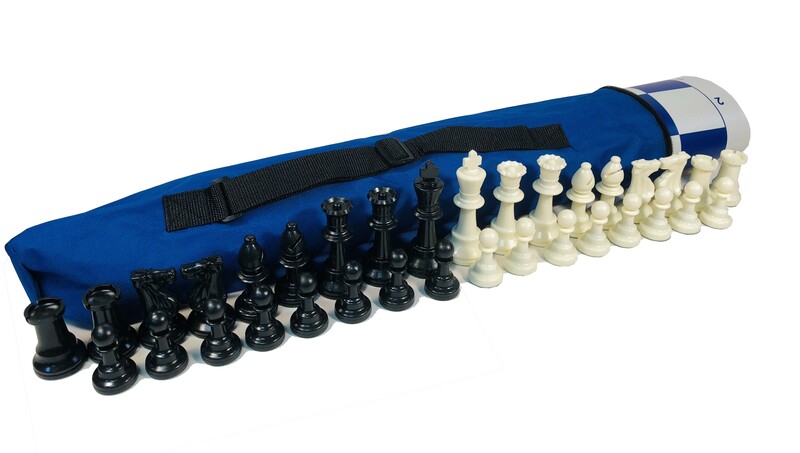 Quiver COMBO: Bag, Board & Chess Pieces "
WEIGHTED Chess Pieces Quiver COMBO: Includes Quiver Chess Bag, Vinyl Chess Board & 3 3/4" King Weighted Plastic Tournament Chess Pieces. Quiver: 21" Long by 3 3/4" Diameter. 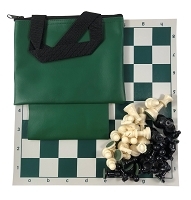 Fits included 2 1/4" Square Vinyl Board and 3 3/4" King weighted Chess Pieces. 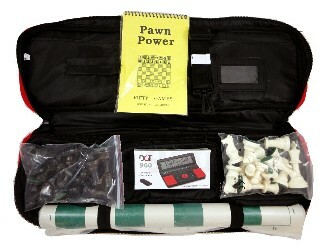 This bag holds the board, pieces, floppy score-book, & smaller chess clocks in a package that will go over your shoulder. It is made of quality reinforced nylon with top grade zippers and stitching. Very light and compact. Very kid friendly! 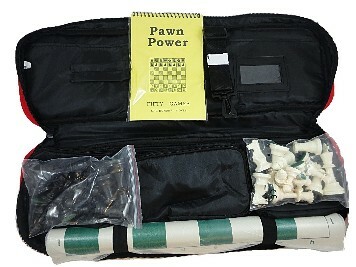 The easiest carrying, best Tournament package on the market. Own yours today! 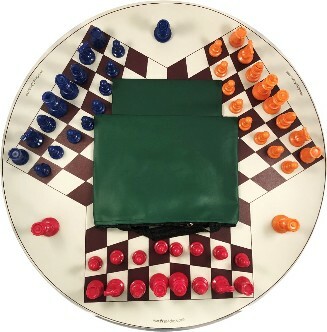 Choice of Quiver Colors. 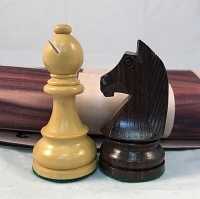 Copyright Rochester Chess Center. All Rights Reserved. by 3DCart eCommerce Web Hosting.